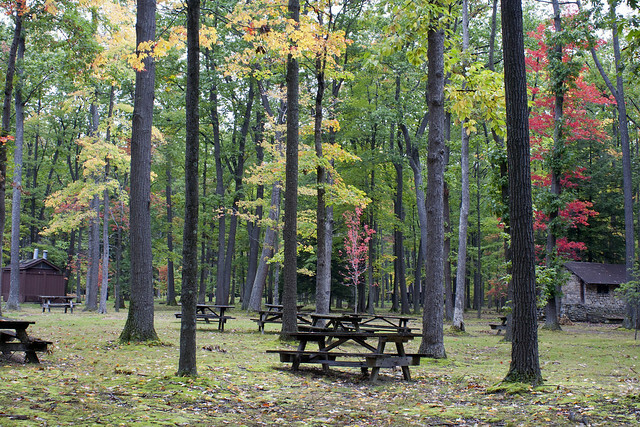 The 318-acre Simon B. Elliott State Park is in the heart of Moshannon State Forest. This entirely wooded park offers picturesque areas of swamp meadows and a forest of typical second growth mixed hardwood and oak timber. Overnight areas and other areas are open specific seasons and hours. Contact the Parker Dam State Park office for facility seasons and hours. Simon B. Elliott State Park is in Clearfield County off PA 153 just north of Exit 111 of I-80, nine miles north of the community of Clearfield. Annual event for all ages -- sponsored by the Clearfield Elks -- featuring arts and crafts vendors, demonstrations, entertainment, food, shuttles to and from the parking area, and much more. This event began during 1988 with just a handful of vendors, and has grown to almost 200 vendors, drawing 10,000-15,000 visitors from Pennsylvania and surrounding states every year. The festival is held on the Sunday after the Fourth of July.